This chapter is a foreword to the synthesis of new knowledge, procedures, best practices and references for collecting plant diversity since the publication of the 1995 volume Collecting Plant Diversity: Technical Guidelines, edited by Luigi Guarino, V. Ramanatha Rao and Robert Reid, and published by CAB International on behalf of the International Plant Genetic Resources Institute (IPGRI) (now Bioversity International), the Food and Agriculture Organization of the United Nations (FAO), the World Conservation Union (IUCN) and the United Nations Environment Programme (UNEP). The original foreword, Loss of Plant Diversity: A Call for Action, authored by H. Zedan, has been made available online courtesy of CABI. The 2011 update of the Technical Guidelines, edited by L. Guarino, V. Ramanatha Rao and E. Goldberg, has been made available courtesy of Bioversity International. Nikolay Ivanovich Vavilov, the great Russian plant explorer and collector, was born 125 years ago, in 1887. Having more or less single-handedly established the scientific fields encompassed by “collecting plant genetic diversity”, I imagine he would be intimately familiar with today’s activities in that realm, as set out in the original 1995 edition of these Technical Guidelines. Today, looking through the new and revised chapters of this new edition, Vavilov might well be thrilled by some of the new opportunities, and at the same time, puzzled by some of the changes that have overtaken the field. Nikolai Ivanovich Vavilov (1887—1943) was a prominent Russian botanist and geneticist best known for having identified the centres of origin of many cultivated plants. He devoted his life to collecting crop diversity and conserving it in genebanks as material for breeders. Seventeen years after the first edition, genetic diversity continues to be lost as a result of changes in agriculture and the transformation of the landscape. The apparently unstoppable growth of simplified agricultural systems based on genetically uniform crops displaces the very diversity on which plant breeders depend to improve the crops they work on. Growing cities and expanding agricultural lands swallow up wild and semi-wild areas of nature that harbour diverse crops and their wild relatives. Unless the diversity of crops and their wild relatives is collected and conserved, it cannot be used either by breeders or by farmers seeking to adapt their systems to impending challenges. Climate change and population growth are the two primary challenges that agriculture will need to respond to. All the models predict greater extremes in the variability of weather in the near future, and these shifts in abiotic conditions will be accompanied by shifts in the biotic threats posed by pests and diseases. Genetic diversity will be needed to respond to those threats. Add to climate change the predicted nine billion people who will need to be fed and properly nourished in 2050, against a background of shortages of water and suitable land, and it becomes clear that the world needs to collect and conserve genetic diversity. Estimates of how much is being lost, and how quickly, abound; and yet in striving to put accurate numbers on these phenomena, these estimates risk missing the point. One of the crucial lessons that more than a century of collecting and conservation (and an even longer history of breeding) has taught, is that it is impossible to predict what specifically ought to be conserved. Time and again, unforeseeable challenges have been solved thanks to unremarked genetic diversity. Conserved, in situ or in a genebank, diversity may prove to be useful; once lost, it cannot ever be useful. Having said that, it is clear that in a time of limited resources, we cannot simply go out there and collect everything. New approaches to priority setting would, I think, have thrilled Vavilov. Instead of heading hopefully off into uncharted regions on the fringes of civilization, today’s plant collectors can bring an array of sophisticated tools to bear. Geographical information systems (GIS), coupled with genebank and herbarium data and integrated with climate data and predictions, make it possible to identify with great precision where collectors ought to go to stand the best chance of finding what they are looking for. This approach can be used to fill the gaps in existing genebank collections, to target geographical areas that are threatened by climate change or habitat degradation, and to concentrate the search for diversity that could help in the battle to adapt to climate change in so-called climate analogues, places whose climate now matches the predicted future climate for a different place. Of course, plant collectors may still need to explore uncharted regions on the fringes of civilization, but they will have good reasons for going there and a reasonable expectation of success. Another aspect of modern collecting that might thrill Vavilov is the nature and extent of information about genetic diversity, and the uses to which it can be put. Being able easily to pinpoint geographic position with a reasonably smart phone enables all sorts of further analyses. Beyond that, however, there is also much greater scope for collecting information on the ways in which local people use plants, on the plant’s performance and traits in the field, on the conditions where it grows and so on. Indeed, collecting the plant’s DNA directly, rather than seeds or larger samples, is an increasingly useful activity. In future this kind of information will be integrated with larger-scale data—climate, for example, and finer-scale observations, such as characterization and evaluations from genebanks and even molecular markers—to give a much fuller picture of diversity that will narrow the search for suitable material. What, then, of the difficulties? 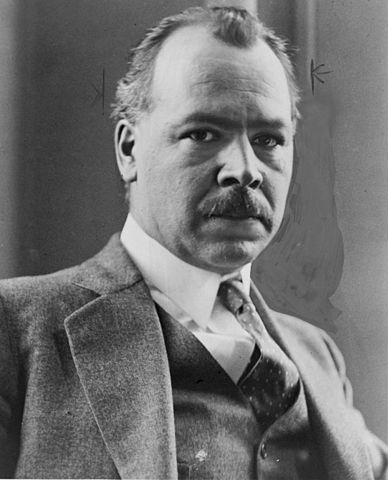 One of Vavilov’s frustrations was his inability to get a visa to explore Egypt. Today, visas and travel are probably easier, but the international legal framework surrounding ex situ conservation has become much more complex with the increased use of intellectual property rights for crop varieties on the one hand and the exertion of sovereign rights of countries over the genetic resources within their borders on the other. This has led to the adoption of the Convention on Biological Diversity in 1993, which has resulted in reduced flows of genetic diversity into and out of genebanks. The International Treaty on Plant Genetic Resources for Food and Agriculture (the Treaty) goes a long way towards recreating a commons for plant genetic resources for food and agriculture, with its multilateral system of access and benefit sharing and agreed protocols for exchanging and using genetic diversity. The Treaty ought to unlock the flow of genetic diversity, which will be absolutely essential for future food security. Nevertheless, challenges remain, as many countries that have ratified the Treaty still have to put in place the appropriate mechanisms, policies and, in some cases, legislation to fully implement it. Unless this is done, it is unlikely that countries will be able to access the diversity they will need to feed and properly nourish nine billion people in 2050. Despite the potential difficulties, countries will continue to depend on “foreign” genetic resources for their future food security, an interdependence that long predates the rise of sovereign states and that arguably stretches back to the dissemination of tools and techniques that constituted the agricultural revolution of the Neolithic. Dedicated, professional collectors are often the entry point into the web of connections that underpins global interdependence. The new and revised chapters of these Technical Guidelines represent a contribution to the creation of future collectors and collections, needed now as much as or more than they were in Vavilov’s day. One of Vavilov’s favourite sayings was, “Life is short, we must hurry.” Were he miraculously to walk among us again, I would not hesitate to save his time by commending to him the chapters in this updated edition of the classic handbook on collecting genetic resources.